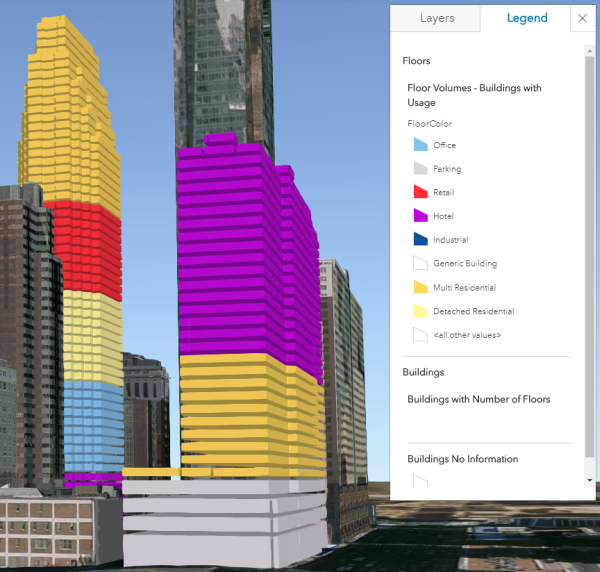 The January 2018 release of the Local Government 3D Basemap solution added the ability to create 3D floor features from existing 3D buildings. 3D floors can be used as input for creating 3D floor units or simply to visualize attributes per floor such as floor usage or floor occupancy. 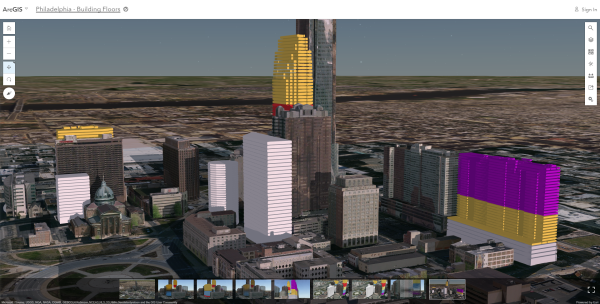 Input features are multipatch buildings which can come from the Local Government 3D basemap solution or other sources such as CityEngine or 3rd party data providers. The output are 3D building floor plates and floor volumes. Floors can be created using a Building Space Use table where the building will be split into tiers or groups of floors, each with their own number of floors, floor height, space use, and color. Alternatively, building attributes such as number of floors, ground floor height, upper floor height, and roof height can be used to create the floors. To start creating floors, download the latest version of the Local Government 3D Basemap solution here.